This CD was recorded in our seminary chapel near Florence, Italy by a large group of seminarians of the Institute of Christ the King. These young voices, the vast majority of whom are under thirty years of age, are formed to chant the timeless contemplative melodies of the traditional Roman Liturgy in the spirit of the great Chant masters of Solesmes. Hours of guided exercise in the fine technique of Chant are directed by our Choirmaster, Reverend Canon Wulfran Lebocq. 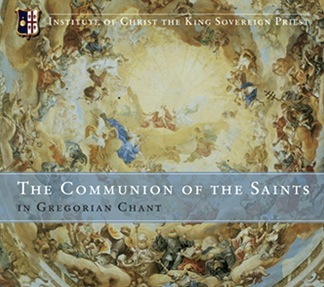 This newly released CD includes the propers of various Masses of the saints, beautifully sung in the solemn tone. The CD can be purchased by sending a cheque of €15 addressed to Saint Joseph’s House .